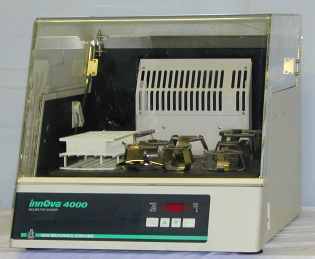 Description: New Brunswick Scientific Innova 4000 Incubator Shaker. Speed Range: 25-500 rpm, Temp Range: 5C above ambient to 60C, Microprocessor controlled, Accommodates flasks from 10mL to 2 liters. Complete with universal platform installed, less clamps.